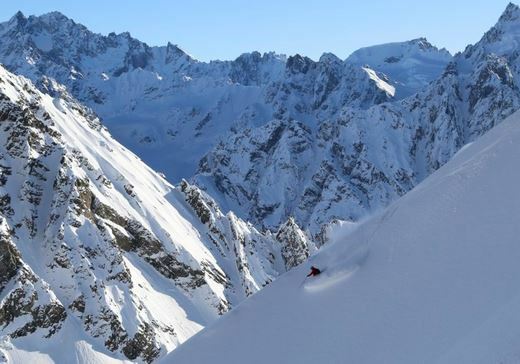 At Tordrillo Mountain Lodge we are lucky that some of the best heli skiing terrain in the country is right in our back yard. The Tordrillo Mountain Range has great landing and pick up zones that typically offer picture-perfect panoramic views of Mt. McKinley and Denali National Park. Mt. McKinley is the largest peak in North America at 20, 320 feet. According to the National Park Service, “Roughly 400,000 intrepid travelers journey to Denali National Park and Preserve each year, primarily between late May and early September.” Denali National Park is six million acres of wildland, bisected by one ribbon of road. And while the majority of visitors visit Denali National Park between May and September, the park is NOT closed in the winter. Guests in the winter participate in cross-country skiing, snowshoeing (The park has a limited number of snowshoes that guest can use free of charge), mushing and ski-joring, winter camping, snowmobiling and the Winterfest Celebration in February. To get more complete details on the activities listed above, click here. Maximize your time in the great state of Alaska by visiting Denali National Park before or after your time heli skiing at the lodge. The temperature is starting to drop in Alaska, and winter will be here before we know it. Heli skiing season starts at the lodge in February. Visit our Dates & Reservations page for more information.